We’re pleased that over half of our first-calf heifers bred to Wagyu bulls have calved in the first thirty days, and relieved that they have instinctually set up nurseries early-on. I’m hoping that last spring’s bumper crop of ground squirrels will keep the coyotes occupied with easier prey, but nonetheless these new mothers seem especially vigilant after calving this year. Typically a cow or two will stay with a group calves while the other mothers graze to be later relieved of duty after an hour or two. Just how these new mothers communicate and delegate duties is a mystery, but they do. My own unscientific and unproven theory is that the newest mothers whose fresh calves need more constant attention are usually selected to babysit the bunch. After being raised in nurseries, the calves learn the security of the herd and remain quiet and well-behaved until their mothers return. However, back and forth to the water trough in the mornings and early evenings with their mothers, the calves become untrained, running in all directions as they find their legs. 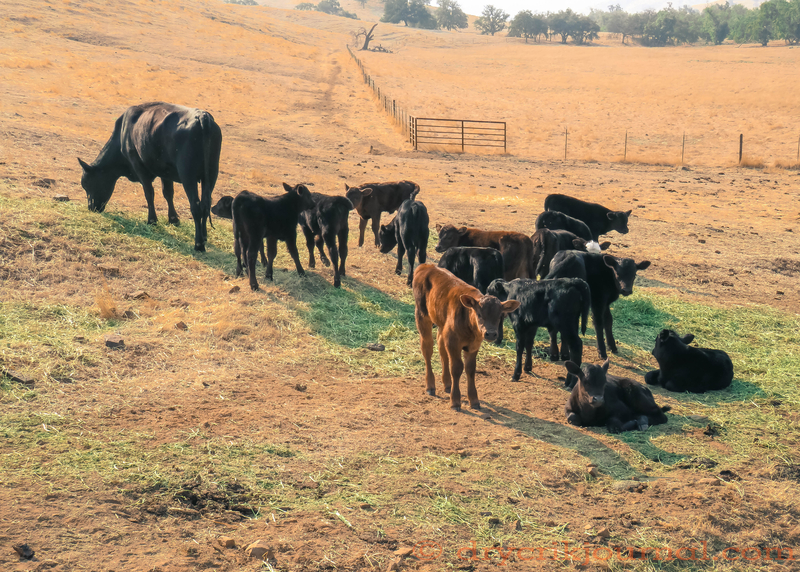 This entry was posted in Photographs, Ranch Journal and tagged cattle, photography, Wagyu X. Bookmark the permalink. I didn’t know cows did that. Sheep do, goats might and horses usually have an old, wise gelding, if available, for a baby sitter. The deer must do the same as right now I usually see a bunch of fawns together but only one or two does nearby. Congratulations, not only on the calves born, but your diligent baby sitters!! Simply beautiful, brother. Thank you. My Lord, how I miss ranching and the life!! Alohas to you and everyone from Honolulu! Fascinating John. I love all your explanations about cattle behavior. Thanks. I am not positive the place you are getting your info, but good topic. I must spend some time finding out more or figuring out more. Thanks for magnificent info I was in search of this info for my mission.